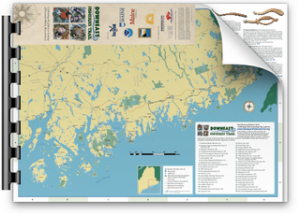 The Downeast Fisheries Trail was created in 2000 with the help of Sunrise County Economic Council, the Maine Aquaculture Innovation Center, Maine Coastal Program, Quebec-Labrador Foundation, and the Maine Community Foundation and included sites from Milbridge to Eastport in Washington County. In addition, each of the 45 sites on the Downeast Fisheries Trail has people and organizations behind it that are the foundation of this effort. Without them, the Downeast Fisheries Trail would not exist!